Using biorobotics to explore animal behavior and brain function. Animal-like robots are playing an increasingly important role as a link between the worlds of biology and engineering. The new, multidisciplinary field of biorobotics provides tools for biologists studying animal behavior and testbeds for the study and evaluation of biological algorithms for potential engineering applications. 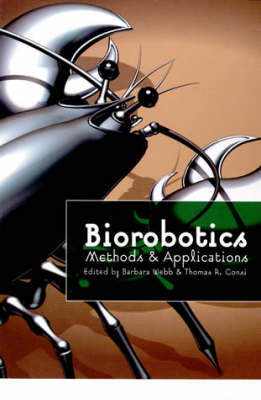 This book focuses on the role of robots as tools for biologists. An animal is profoundly affected by the many subtle and complex signals within its environment, and because the animal invariably disturbs its environment, it constantly creates a new set of stimuli. Biorobots are now enabling biologists to understand these complex animal-environment relationships. This book unites scientists from diverse disciplines who are using biorobots to probe animal behavior and brain function. The first section describes the sensory systems of biorobotic crickets, lobsters, and ants and the visual system of flies. The second section discusses robots with cockroach motor systems and the intriguing question of how the evolution of complex motor abilities could lead to the development of cognitive functions. The final section discusses higher brain function and neural modeling in mammalian and humanoid robots.